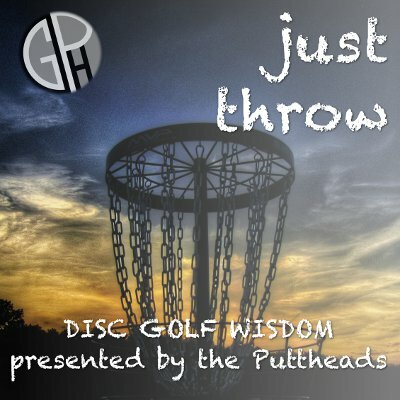 We’re back from a long hiatus with a new episode of Just Throw! We’re on vacation in South Carolina where the weather has been warm with occasional rain. The audio quality isn’t as good as usual due to our remote location but it turned out ok.
On this episode we discuss some new disc releases, a preview of our bag for 2019 including new putters we’re using, and a rundown of our vacation bags. What is a vacation bag? When traveling with the family it’s nice to carry a smaller bag for cargo space reasons. On top of that, we choose discs that we’re willing to leave behind if necessary. For instance, if a diamond back or rattlesnake is near my vacation disc I’m going to just move along. The Disc Golf Podcast – Joe and Robin discuss the latest in the PDGA, new discs, and review a disc and a beer. One of our favorite disc golf podcasts! Animal Mind Podcast – The former hosts of the Zen Disc Golf Podcast, podfather Pat McCormick and Zach Engelhart, discuss “how we can use our primal natures to develop a mind-body connection and find peace in our contemporary lives.” Check it out! We’ve resubmitted the podcast to iTunes and Google Play. When accepted, we will post details here on the blog.